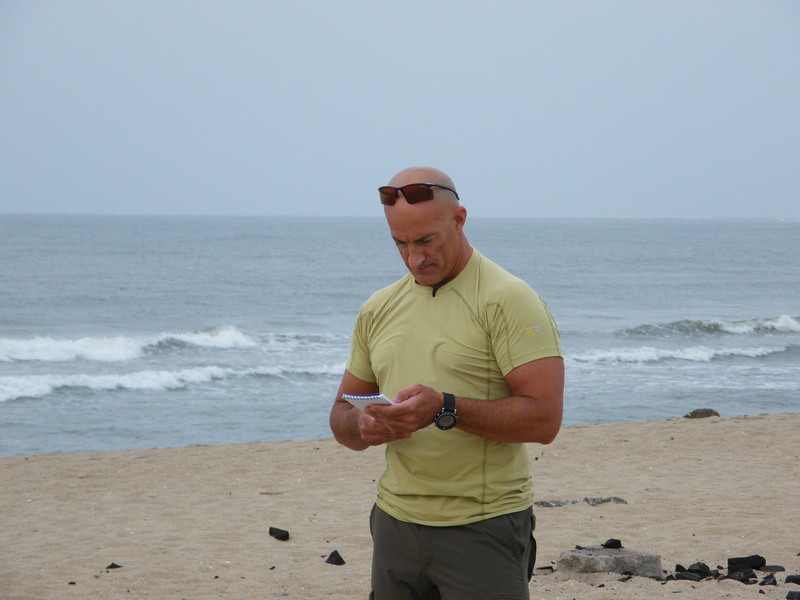 Cantore and crew got up early on Monday morning and headed to the lighthouse where they filmed live from 7:00 a.m. to 11:00 a.m. and covered everything from surfing and kiteboarding to beachcombing and treasure hunting. At one point, a school of dolphins breezed by as if on cue, with a couple surfers cruising the waves in the foreground, and Cantore and the team were quick to catch it all on film. For Monday evening’s live broadcast, a crowd of fans, including a number of Surf or Sound employees, gathered on the beach to support the island. Cantore had a chance to interview a few horseback riders and local business owners, and broadcasted the weather throughout the night from the sandy Hatteras dunes in front of his Surf or Sound Realty Rental Home, #663 Hatteras Dream. Despite a couple spells of rain, the dunes and Hatteras beaches looked beautiful as the crew filmed from sunset until 10:10 p.m. All the footage was nationally aired live throughout the day on The Weather Channel. 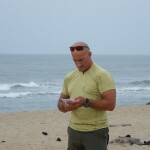 Everyone agreed that the event and filming was a huge success, and Cantore and his team loved the warm southern hospitality and beautiful secluded beaches, assuring everyone at Surf or Sound Realty that they couldn’t wait to return to the Outer Banks again. The Weather Channel has been featuring multiple videos of Hatteras Island’s fun summer activities as part of their week long series “Why I Love Summer.” Check out these amazing clips of Outer Banks horseback riding, kite boarding and hang gliding that were broadcasted nationally on The Weather Channel this week.